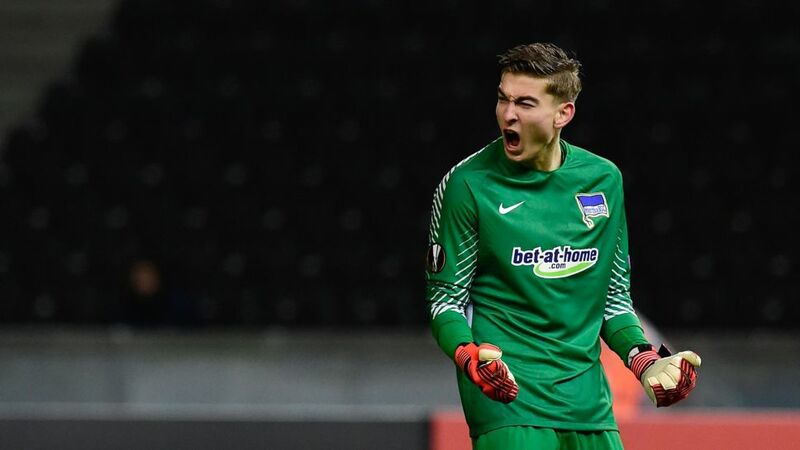 Hertha Berlin debutant goalkeeper Jonathan Klinsmann saved an 87th-minute penalty as the Old Lady rounded off their 2017/18 UEFA Europa League campaign with a 1-1 draw at home to Group J runners-up Östersunds. After Hertha’s hopes of progressing beyond the group stage were ended by a 3-2 defeat to Athletic Bilbao on Matchday 5, a much-changed Old Lady outfit had much to prove at the Olympic Stadium. Pal Dardai’s side dominated the first half, with Palko Dardai – the Hertha head coach’s son – striking the crossbar and spurning two further chances to break the deadlock. Hertha were made to rue those missed opportunities after the restart as Östersunds defender Sotirios Papagiannopoulos fired in with the aid of a deflection. Captain-for-the-night Peter Pekarik capped a fine move to bring Hertha level three minutes later, but the drama didn't end there. Brwa Nouri had the chance to get the goal that would have sent Östersunds through as group winners after Maximilian Mittelstädt has conceded a late penalty for a foul on Ken Sema, but Klinsmann showed nerves of steel to make the stop. Hertha had won all three of their previous meetings with Swedish sides before their defeat to Östersund in September.Hertha have not conceded in any of their last three European home games.Salomon Kalou won the Europa League with Chelsea in 2011/12.Davie Selke opened the scoring against Frankfurt on Sunday, but the Eagles fought back to win 2-1 at the Olympiastadion.The capital club have suffered a dip in form in recent weeks, losing three of their last five matches in all competitions.Östersund finished fifth in the 2017 Swedish Allsvenskan campaign - their highest placing in the club’s history. Head here for more Hertha news and features!